Have your patients hearts' racing when you turn up on the ward wearing this cheap and cheerful Scrub Nurse fancy dress costume. 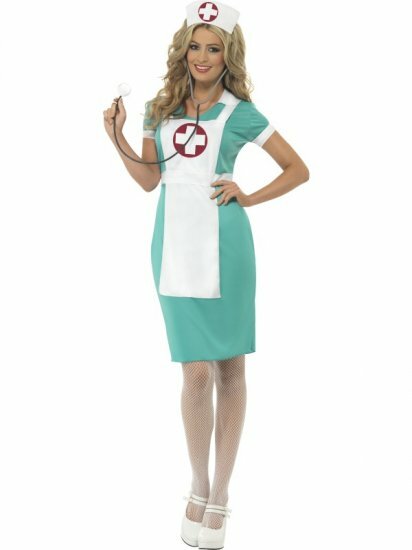 Included is everything perfect for perfecting your bedside manner and comprises of a stylish knee length green scrubs style dress with attached white collar and white trim detailing to the sleeves, a mock apron with red medical cross print and a matching headpiece are also included. 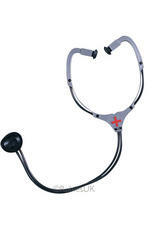 Great for wearing to a Doctors & Nurses or Uniform themed fancy dress party.